HC Loc started out as the “Extreme Referee” in ECW, and then later on in ROH, where he switched to wrestling full-time..
August 8, 1996: HC Loc had his first singles match against Steve Corino..
January 9, 2004 – ROH/JAPW: Tony Devito & Trent Acid defeated Johnny Kashmere & HC Loc in a “mixed” tag match..
February 14, 2004 – ROH 2nd Anniversary: Special K (Dixie/Hydro/Izzy) defeated Carnage Crew (Devito/HC Loc/Credible)..
March 13, 2004 – ROH: The Carnage Crew defeated Special K in the second ever Scramble Cage Match..
May 15, 2004 – ROH: The Carnage Crew (Loc & Devito) & Dunn & Marcos defeated Prince Nana & Josh Daniels & Outkast Killahs..
May 22, 2004 – ROH: The Carnage Crew vs Trent Acid & Danny Daniels was a NO CONTEST because Masada turned on the Crew! ~~~Masada & Trent Acid & Danny Daniels defeated Carnage Crew (HC Loc & Devito & Justin Credible)..
June 6, 2004–NWA Upstate: H.C. Loc defeated Charisma (Frank the Tank) to win the NWA Upstate Heavyweight title. June 12, 2004 – ROH: Jimmy Jacobs beat HC Loc & Matt Sydal (IWA) & Delirious & Rainman (Wildside) & Caprice Coleman (Wildside)..
July 10, 2004–NWA Upstate: H.C. Loc defeated Kid Justice (Buddy Delmar) to retain the NWA Upstate Heavyweight Title. July 17, 2004 – ROH: The Carnage Crew (Loc & Devito) defeated The NEW Carnage Crew (Masada & Danny Daniels)..
~~~As a result of the match, Tony DeVito & HC Loc win the right to use the Carnage Crew name exclusively..
August 7, 2004 – ROH: The Carnage Crew (DeVito & Loc) defeated Danny Maff & BJ Whitmer..
September 30, 2004–NWA Upstate: Danny Doring defeated H.C. Loc to win the NWA Upstate Heavyweight title. 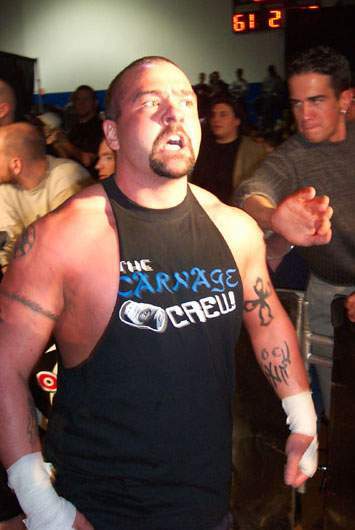 November 5, 2004 – ROH: The Carnage Crew (Loc & DeVito) defeated Dan Maff & BJ Whitmer..
December 10, 2004–Jersey All Pro Wrestling: Loc & DeVito defeated Deranged & Dixie..
December 26, 2004 – ROH: Dan Maff & BJ Whitmer defeated The Carnage Crew in a FIGHT WITHOUT HONOR..
January 15, 2005 – ROH: The Havana Pitbulls beat CM Punk & Steve Corino and The Carnage Crew in Ultimate Endurance..
January 28, 2005–Jersey All Pro Wrestling: The Carnage Crew (HC Loc & Tont Devito) beat H2O (Corvis Fear & Rush Margera)..
February 19, 2005 – ROH: Dunn/Marcos beat Carnage Crew and Izzy/Deranged and Azrial/Dixie and Evans/Strong (Scramble Cage)..
~~~As a result of a pre-match stipulation, Loc & DeVito are banned from ROH for 90 days..
April 22, 2005–Full Impact Pro: The Carnage Crew (Loc & DeVito) defeated The Heartbreak Express (Sean & Phil Davis)..
~~~Ring Crew Express (Dunn & Marcos) beat The Carnage Crew (Loc & DeVito) in the second round of a Tag Team Tournament..
April 23, 2005–Full Impact Pro: The Carnage Crew & Marcos defeated The Heartbreak Xpress & Don Juan..
May 7, 2005 – ROH: The Carnage Crew returned to ROH early and destroyed the Ring Crew Express..
May 14, 2005 – ROH: Matt Sydal defeated Ace Steel and Matt Stryker and Masked Wisconsin Superstar (HC Loc)..
June 4, 2005 – ROH: HC Loc defeated Cheech (formerly of Special K)..
June 12, 2005 – ROH: The Carnage Crew defeated Ring Crew Express in a New York Street Fight..
June 18, 2005 – ROH: The Carnage Crew defeated The Ring Crew Express in an Anything Goes Street Fight..
July 9, 2005 – ROH: The Carnage Crew defeated Jimmy Jacobs & BJ Whitmer to win the Tag Team titles! July 16, 2005 – ROH: The Carnage Crew retained their Tag Team titles by winning an Ultimate Endurance match..
~~~~~The Embassy (Fast Eddie & Excess) were eliminated in the Scramble Tag Match..
~~~~~Lacey’s Angels (Deranged & Cheech) were eliminated in the Anything Goes Match..
~~~~~The Ring Crew Express (Dunn & Marcos) were eliminated by The Carnage Crew in a Tag Team match..
July 23, 2005 – ROH: BJ Whitmer & Jimmy Jacobs defeated The Carnage Crew to recapture the Tag Team titles! August 20, 2005 – ROH: The Ring Crew Express defeated The Carnage Crew in a Weapons match..
January 25, 2008–NWA Upstate announced that H.C. Loc will return to the ring on February 23, 2008..
February 23, 2008–NWA Upstate: Eric Everlast & HC Loc defeated Super Assassin & Triple X. May 24, 2008–APW: The Ring Crew Express (Dunn & Marcos) defeated HC Loc & Judas Young. August 28, 2008–IYFW: HC Loc defeated Maxx Burton. September 7, 2008–P6W: Cody Deaner & HC Loc defeated Kid Justice & Rik Matrix. October 5, 2008–FC !BANG! : Dory Funk Jr., Johnny Magnum & Osamu Nishimura defeated Blain Rage, HC Loc & Todd Smith. November 15, 2008–IYFW: HC Loc defeated Nick Paradise. November 23, 2008–FC !Bang! : HC Loc defeated Nick Paradise. April 4, 2009–ISPW: Nunzio defeated HC Loc. May 16, 2009–APW: Claudio Castagnoli & Colin Delaney defeated HC Loc & KAGE. July 10, 2010–CZW: The SAT (Joel Maximo & Jose Maximo) defeated The Carnage Crew (DeVito & Loc) and The H8 Club (Nate Hatred & Nick Gage) and Da Hit Squad (Mafia & Monsta Mack). January 15, 2011–NWA Capital: HC Loc defeated Frank The Tank. March 12, 2011–NWA Capital: HC Loc defeated Dave DeJohn by DQ. June 11, 2016–IYFW: Bobby Ocean defeated HC Loc to retain the heavyweight title in a extreme rules match. 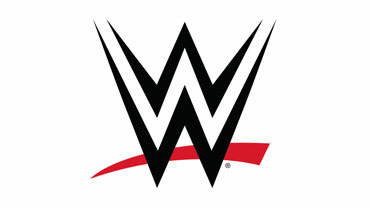 July 9, 2016–UPW: HC Loc defeated Chris Cayden. August 6, 2016–UPW: HC Loc defeated Cloudy. September 10, 2016–UPW: Josh Alexander defeated HC Loc in the 1st round.